I just got back from a few days away in the countryside, and I have to admit it wasn’t Dr Pepper that caught my eye lurking in the hedgerows, but Coca-Cola, Pepsi, and Lucozade. 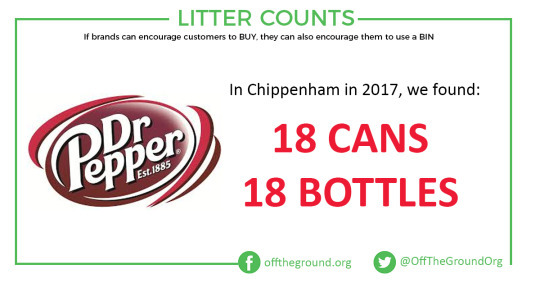 However, last year in Chippenham a total of 36 Dr Pepper branded products were found, and both cans and plastic bottles were equally popular. 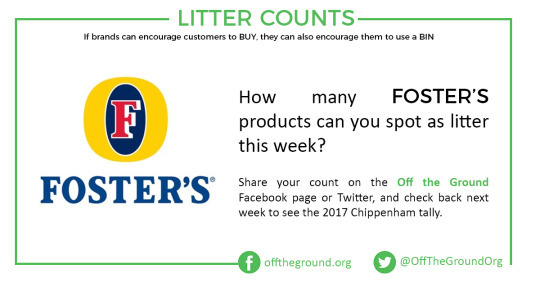 Although barbecue weather is feeling far off again, next week keep an eye out for Foster’s products, and check in tomorrow to see some of the top brands from our Great British Spring Clean.